Our daughter has wanted to ride a bike since she was very young. We have spent years (and lots of money) trying to teach her. A variety of different bikes have been attempted, but nothing has worked. We even bought her an adult bike and tried training wheels—with no success. Our boys all love to ride their bikes, and I have the dream of all of us riding our bikes together through the national parks in our area. However, with the challenge of our daughter not riding a bike, I wasn’t sure we would ever be able to ride bikes as a family. After I learned that researchers at the University of Michigan concluded that less than 20 percent of kids with autism and 10 percent of kids with Down’s Syndrome will ever learn to ride a bike, I thought our efforts were in vain. Then I heard about a great program that teaches special needs kids to ride a bike. It is run by a non-profit organization called iCan Shine. They run over 100 bike camps (iCan Bike) throughout the US and Canada in both summer and after-school sessions. iCan Shine boasts that 80 percent of their camp riders can ride bikes independently following the camp. After watching their online videos, I decided this camp was something we needed to try. I contacted the director of the camp and learned there were only 40 spots available, so I signed up immediately. I later learned there was a lengthy waiting list of kids hoping to attend the camp. As part of the registration, I had to give my daughter’s measurements. When I arrived at the camp I realized why: they had brought in specialty bikes fitted to each rider (ages 8-22). For the first few days, the riders had rollers on the backs of their bikes which acted similar to training wheels in helping the bikes to balance. Each rider had two or three volunteers to help them. These volunteers were amazing. I was curious about who the volunteers were and why they were there. Some I spoke with were special education teachers and some were high school students on their school mountain biking teams. Lots of the students said they had volunteered at the camp last year and enjoyed it so much they wouldn’t miss coming again. 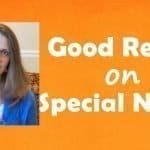 As a parent of a special needs child, you notice how other people treat your kid. It is so true that people are afraid of what they don’t know. However, these volunteers were so good with the riders. Great relationships were formed between riders and the volunteers who helped them. I noticed several of them exchanging contact information at the end of the camp. 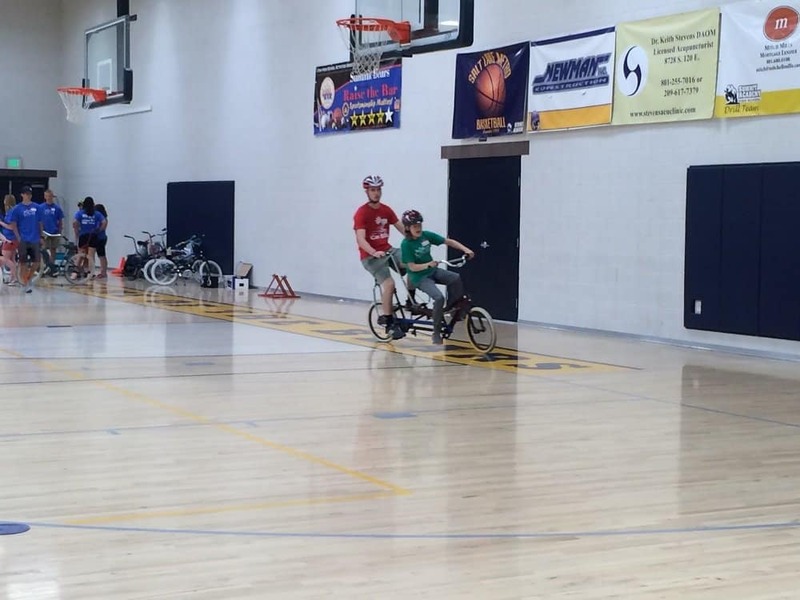 After the riders had mastered peddling, steering, and turning, they were put on a tandem bike with one of the staff members. This was one of our daughter’s favorite parts of the camp. She was so excited to be riding a bike with no assistive devices. It didn’t bother her that someone else was with her on the bike. In fact, I think she loved that part! Riding the tandem bike with an experienced rider seemed to give our daughter a lot of confidence. She was excited about the next step! Next, the rollers were removed from the bikes and a bike trainer handle was added. This was a long handle on the back of the bike that allowed the staff member to run alongside the riders and help with balance. After a few minutes, the staff member would let go and allow the rider to ride independently (depending on ability). Here’s where you can purchase the bike trainer handle. Finally, on the last day of the camp, the riders rode their own bikes. We opted to have a bike trainer handle installed on our daughter’s bike (which was well worth it). The staff members gave me pointers as I ran alongside, holding the handle to help with balance as needed. I appreciated the tips they gave and the tricks they showed me to help our daughter become even more confident on her bike. 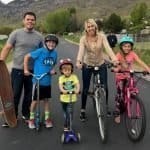 While I have helped our boys learn to ride a bike, it was great to learn some new techniques that specifically help special needs kids learn to ride. Additionally, I felt this was a bonding experience with my daughter that we hadn’t had in our previous attempts at teaching her to ride (mostly because this experience was not stressful or disappointing to either of us). To answer the big question, no, our daughter cannot ride completely independently after a week at iCan Bike. However, she is very close. I believe if we keep working the way we were shown to do, she will be riding independently in the next few weeks. 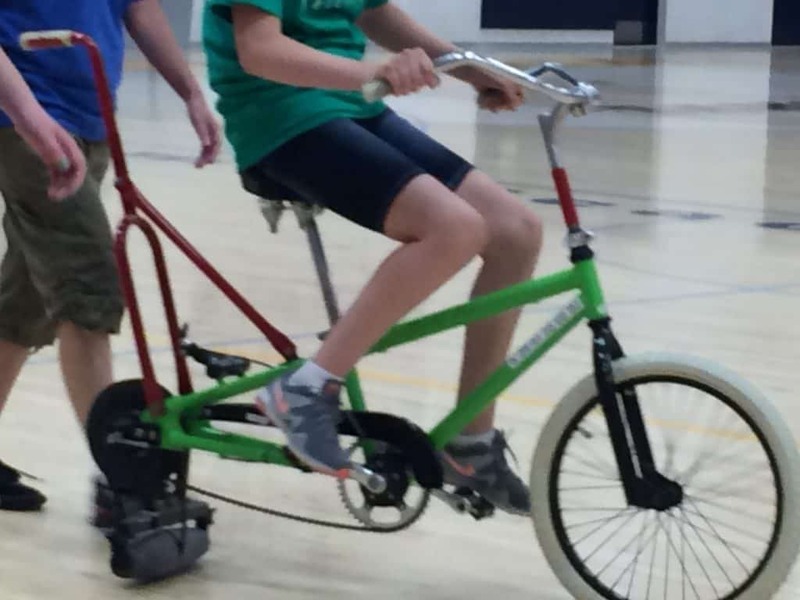 iCan Bike was definitely worth it, and I highly recommend it not only as a way for kids to learn to ride a bike but also as a way to increase their self-esteem. One of the parents I spoke with has an older child with severe needs. She said he has been riding with bike stabilizers for years. They are similar to training wheels but are much more heavy-duty and provide much more stability as kids (or adults) are learning to ride. I wish we had known about these stabilizers years ago. Here’s where you can purchase the Bike USA Stabilizer Wheel Kit. For me, one of the most rewarding parts of this bike camp experience was watching the parents of all the riders get excited as each child made progress in this journey. The parents sat on bleachers and watched the kids most of the week. As each rider rode past, the parents would call out that rider’s name and cheer. The riders all had such huge smiles on their faces. Throughout her life, our daughter has always been physically slower than other kids. She often feels that she isn’t as good as other kids. Yet, for this one week of bike camp, she felt like she could accomplish her goal. She felt special. The connections she made with the other riders, as well as the volunteers there, are connections she will cherish. She knows those people got to know her and really appreciated her despite her limitations. Not only did our daughter enjoy her week at the bike camp, but I had a great experience there as well. 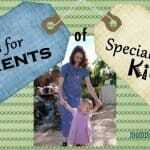 Sometimes being a parent of a special needs child can be lonely. 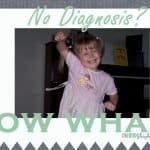 Parents of typically developing kids often don’t understand the challenges and heartache we face. At this bike camp, I met some great parents who could really relate to me. We discussed everything from special education and therapy options to funny things our children say. We shared some of our struggles and triumphs as well as recommendations. It was quite therapeutic for me. 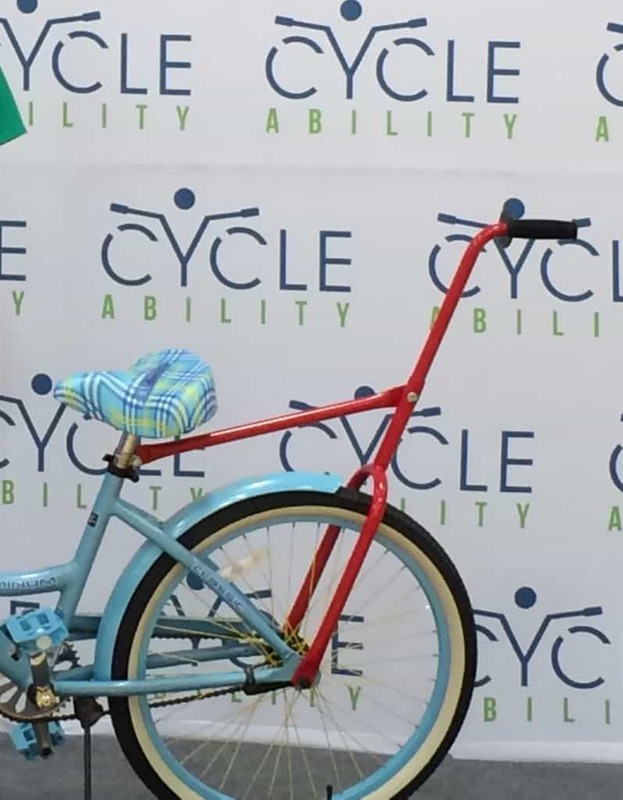 If your special needs child wants to learn to ride a bike, check out the iCan Bike program or a similar one in your area. If one doesn’t exist near you, you can help to start one. See the iCan Shine website for details. There are also iCan Swim and iCan Dance programs in the works. See if the weight of not being able to ride a bike can be removed from things your child can’t do.